Is there a case to be made for tennis fans to be disappointed in the young guns of men’s tennis? Tom Fontana thinks so! Here is his thought-provoking take on that. With Tom Fontana’s pro experience and sharp eye for detail, he has every right to offer strong opinions about the state of the men’s game. My suspicion is that this one will definitely make you think…..this guy’s got a damn good point! 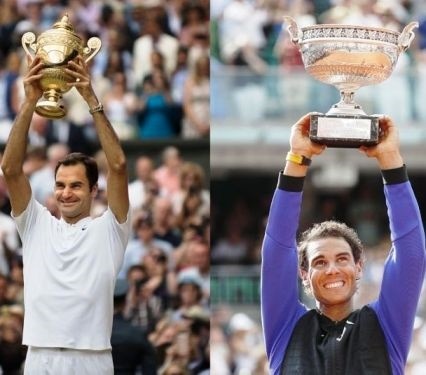 Tommy Fontana thinks today's coaches aren't forcing their players to do what is necessary to beat Federer and Nadal in majors. Does he have a point? CBS 4 Sports’ Michael Spencer gives us some pre-pre-season Broncos observations of interest! 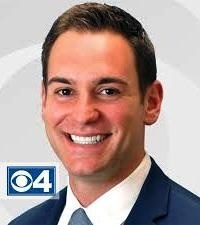 CBS 4 Sports, Michael Spencer has had a close at the Broncos already. He makes a great case for Keenum, likes the young WRs, and thinks opposing QBs should beware of D-Ware as a secret weapon on the coaching staff this season. 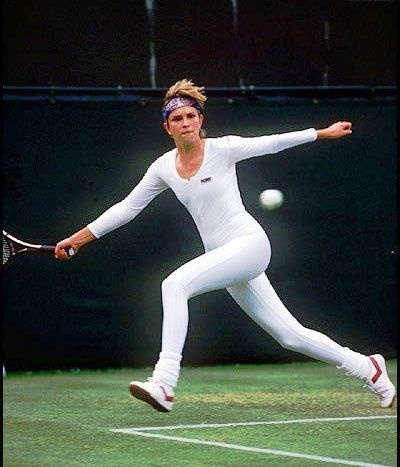 Anne White WOW’d us with the Wimby-white body suit, and now she’s ready to rock the tennis world again with the release of LOVE MEANS ZERO! LOVE MEANS ZERO is the story of trailblazing pioneer tennis coach/entrepreneurial genius, Nick Bollettieri. He was the first to offer an academy that’s design was to create machine-like tennis champions (Agassi, Becker, Courier, Seles, Kournikova, Sharapova to name a few). As a result, the game as we knew it, would change forever. Anne White was there from the outset, and this film is one of her most proud endeavors, as she will share with you today! Anne White joins AZ to preview LOVES MEANS ZERO, airing on SHOWTIME, starting June 23rd! 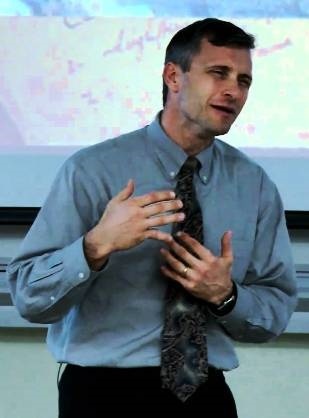 Erik Thoennes is a Professor of Theology at Biola University in La Mirada, California. His thoughts on coaching and parenting give a healthy perspective to those that need it most! He speaks from the heart, and with great wisdom. Professor Erik Thoennes is a rare and special breed of speaker, giving all who see/hear him, great food for introspective thought. Today we tackle the subject of: Sport, why we play. What are the important lessons, and how do we use sport to strengthen our relationships, and ourselves as human beings. Theology Professor Erik Thoennes joins AZ to talk about some great life lessons derived from sport, and from family. Justin Gimelstob joins AZ to talk March Tennis Madness, and has a few kind words about the untimely loss of one of our sports beautiful spirits. Tennis Channel’s Justin Gimelstob has plenty to delve into, as March Tennis Madness winds down. 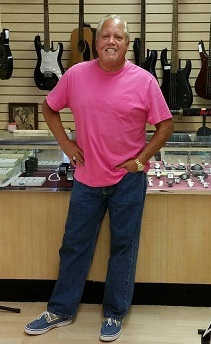 He also has some kinds words about the man pictured here, AZ’s late great buddy, Eddie Wood. Tennis Channel's Justin Gimelstob talks Roger, Novak, American Women, and the loss of AZ's great friend, Eddie Wood. Peter Rennert joins AZ to look back at the good old days, and to catch up on some things he’s learned along the way! He’s an educator and a coach, and with a background that blends Port Washington Academy Tennis(with John McEnroe, Mary Carillo, and Vitas Gerulaitis), multiple national titles at Stanford, and success as an ATP professional. Today, AZ is treated to a visit with Peter Rennert, a man who has much to share with this generation. His TELOS training program is intriguing to say the least. A fun look back, and a thought-provoking look forward are right here for your enjoyment! Peter Rennert talks Port Washington Academy, Stanford Tennis, and doubles with Johnny Mac!! 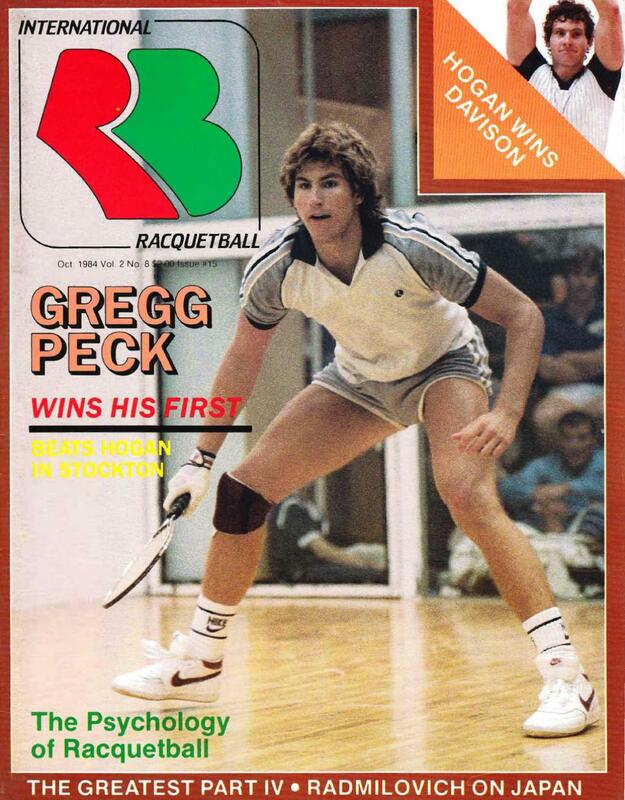 On the debut of the brand new, RacketSTAR Radio, with Andy Zodin and Gregg Peck, AZ and GP talk about the glory days of racquetball (when the Peck Brothers were on top of the sport) and chat about the improbable year we saw in tennis, specifically Federer, Nadal, and Venus all drinking heavily from the proverbial fountain of youth! 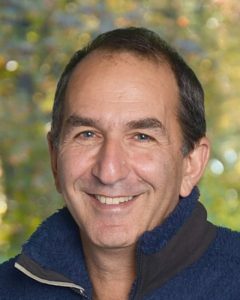 RacketSTAR Radio, with Andy Zodin and Gregg Peck....enjoy our debut show! 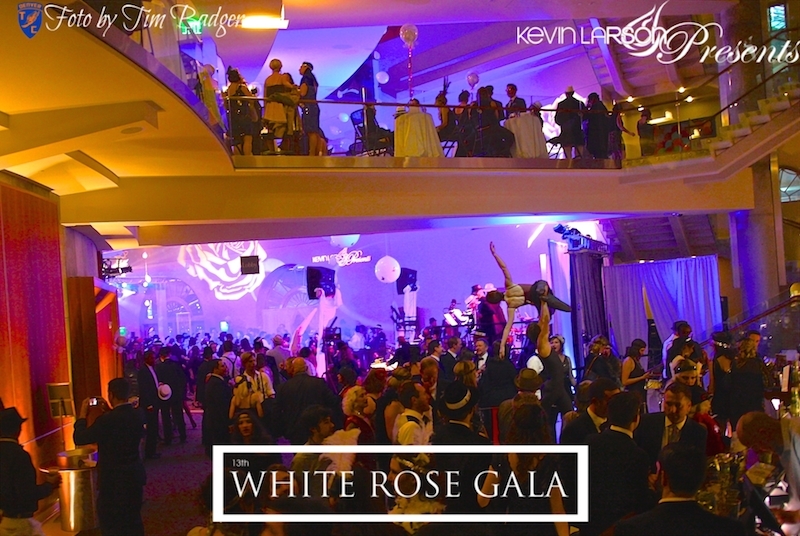 This year’s WHITE ROSE GALA will be held at the Ellie Caulkins Opera House in downtown Denver, and is sure to be an extravaganza like no other. The Roaring 20’s theme will provide a spirited atmosphere that those in attendance won’t soon forget!! Kevin Larson Presents: THE 2017 WHITE ROSE GALA, and Kevin’s HERE on KSR with AZ, to tell you everything you need to know to get ready!! Kevin Larson joins AZ to tell you about THE WHITE ROSE GALA, a new year's eve party that is on your bucket list, whether you realize it or not!! 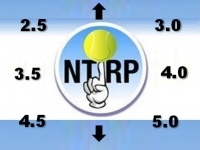 Confused by the NTRP system?? USTA’s Heather Hawks joins KSR to help us all “get it”!! You might be amazed at how many things about the NTRP system are less crystal-clear than you think. AND…..how many sites are out there giving bad info on ratings. USTA Senior Manager of Product, Events, Ratings, HEATHER HAWKS has the unenviable task of telling AZ that his rating is actually NOT the same as that Swiss guy named Roger. That, and other ridiculous myths of the rating system are discussed in this USTA edition of KickServeRadio.com. USTA's Heather Hawks has the lowdown on the faq's of the NTRP system. Steve Flink is among one seriously impressive class of inductees into the 2017 Induction Class of the International Tennis Hall of Fame! 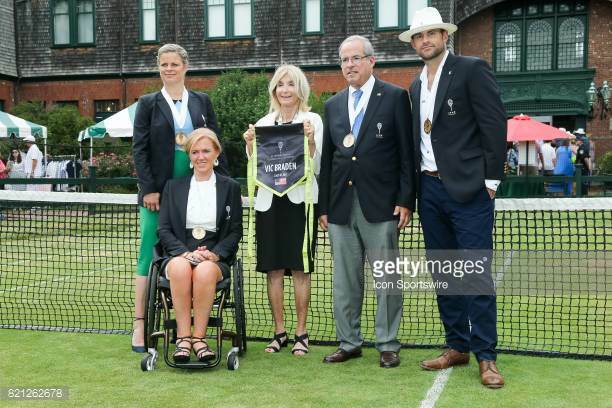 It’s a class that includes Andy Roddick, Kim Clijsters, the late great Vic Braden, Monique Kalkman Van Den Bosch, and of course Steve Flink, who tells us about what an incredible honor it was, to be enshrined along side these all time greats of our sport. Steve Flink talks glowingly about the 2017 enshrinement ceremony into the 2017 International Tennis Hall of Fame!